Houzz 68 of our visitors have told a friend about this plan. Question: Is there a way to see what the inside of this house looks like in live view ? I want to see the living/kitchen room area. I need to know what the ceiling looks like . Is it a flat ceiling or an angled ceiling kind of like vaulted . I know it says its 11 ft ceilings but I just can't tell from the pictures . I would love to see the whole inside view if possible. Question: Is the fireplace wood burning or gas? I dont see a chimney in the house. Question: What is the roof pitch on the front porch? And is the roof framed with trusses? Question: What is the main roof pitch? And do you have a version that has the living room vaulted? Answer: Main roof pitch is 10:12 Sorry, no version with living room vaulted, most builders can do a simple change like that as a field change. Question: is precut studs used to build to make a 8 foot wall? 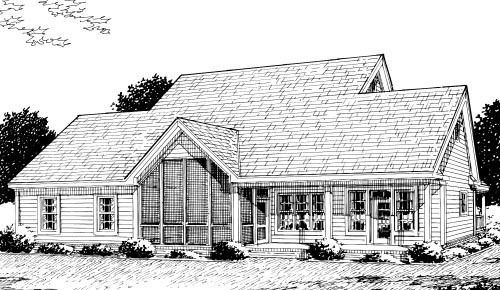 Question: Can you provide an example of how much detail is shown on the plans and sections before we buy the plan? Answer: The staircase could have rails that are open to the living room. Question: Plan 68178- Can this plan be open to below? Meaning,upstairs bedrooms visible from livingroom and kitchen? Question: Can the top section of this house be bricked? Answer: Yes, it can all be bricked up to the point where the front wall of the side one story roof is located. 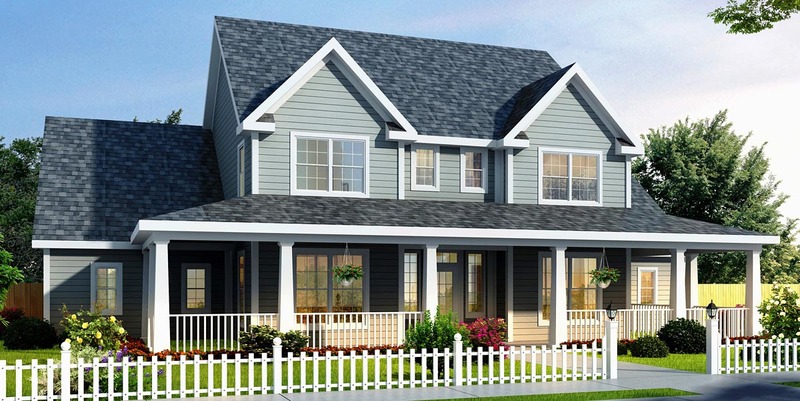 Question: Is the screen porch figured in the lower level square footage of 1,467? Question: Is there any pictures of this home that has been built? Question: Is there a photo gallery of the inside of this plan? Question: Hey, what is the front porch depth? Answer: The front Porch is 8 feet deep. Click Here to download a free PDF Brouchure of Plan Number 68178.